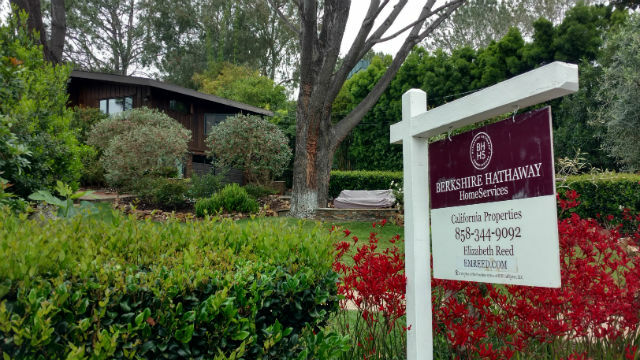 California pending home sales slipped for the sixth consecutive month, suggesting an impending slowdown in the state’s housing market as the peak home buying season winds down, the California Association of Realtors said Monday. “With increasing concerns over shrinking housing inventory and suppressed housing affordability, Realtors remained cautious in June,” the organization said. Based on signed contracts, year-over-year statewide pending home sales fell for the sixth straight month in June on a seasonally adjusted basis, with the Pending Home Sales Index declining 0.9 percent from 119.0 in June 2016 to 117.9 in June 2017, according to the Realtors. Pending home sales also slipped on a monthly basis, decreasing 0.6 percent from the May index of 118.7. Pending home sales have declined every month so far this year, but the pace of decline has slowed in recent months. In the Southern California region, Orange County saw a healthy bump of 8.3 percent, but sales were down 3.6 percent in San Diego, 6.9 percent in Riverside, and 1.7 percent in Los Angeles compared to last June. The Central Valley saw a pending sales gain of 5.2 percent in June, but the San Francisco Bay Area experienced a dip of 0.6 percent.